The Gig Economy - just Click on the Picture Below! Want to Take Your Small Business to a Bigger Level? 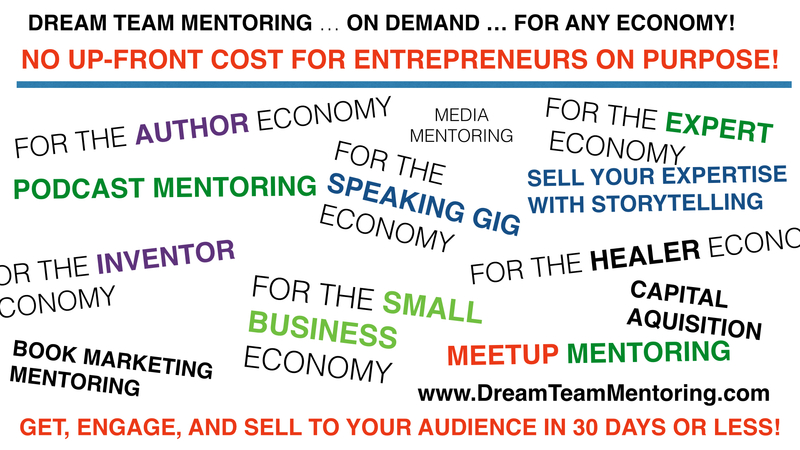 We've Got the Dream Team Media, Marketing, and Mentoring to Do It with NO Upfront Fee! We Help Small Businesses Make Money in ANY Economy! Moneyback Guaranteed Marketing - Up to 90% OFF Agency Pricing! NO UPFRONT COST Media, Marketing & Publicity Mentoring. Make Money in ANY Economy! 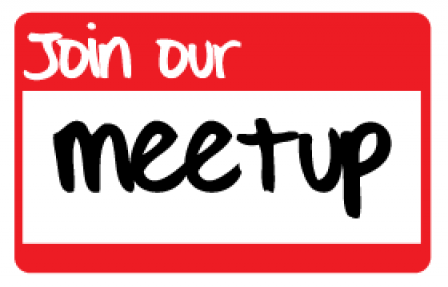 Click here to join our Meetup Group. It's Gonna' Knock You Right in the Head! What is the Freelancer On Demand Gig Economy? That's the Question I ask Serving United States Congressman, Ro Khanna to Explain to You for Us! “It’s an economy that everyone can participate in whether you are a homemaker, a taxi drive, or a computer engineer, you now have the opportunity to work through the internet by having a project or selling things and having opportunities to do the work. Whether it’s five hours a week, ten hours a week, twenty hours a week. The challenge is how do we know that this work pays well, and pays a decent wage. When you don’t have unionization how do you make sure that you still have a decent life. 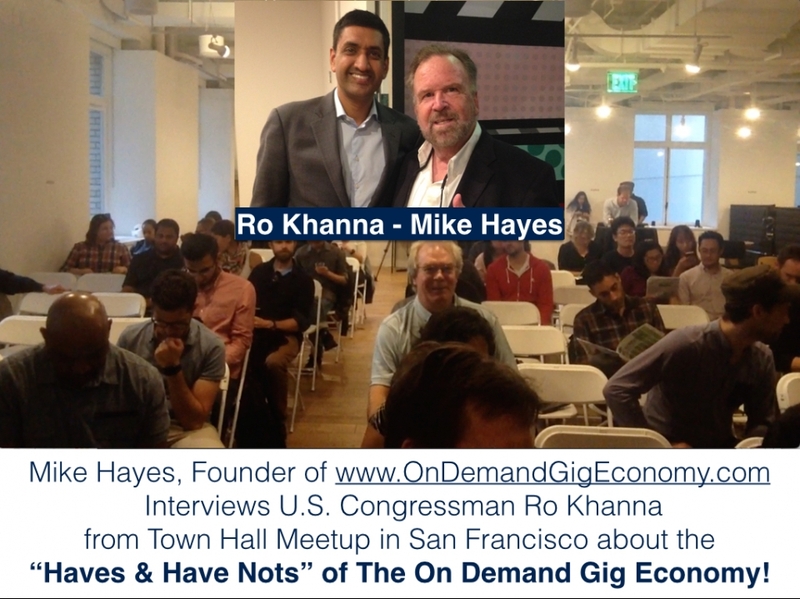 Now you have a lot of opportunities to do part time work on the internet; no matter what your background.” Congressman Ro Khanna 17th District, CA. We are here to help you make money in the new economy! Listen to My Interview with the Congressman and more! We have over 70,000+ Business Owners & Professionals in our Meetup Organization, and Growing Every 20 Minutes - 24/7. You can Join FREE and Learn How to Start Growing Your Own Audience in 30 Days or Less. 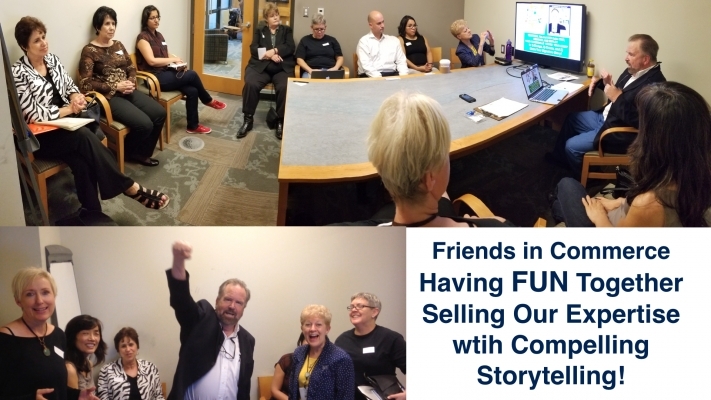 -Sell Your Expertise with Effective Compelling Storytelling to Make Money - Get, Engage, and Sell to Your Audience in 30 Days or Less. -Speak to Make Money in 30 Days or Less. -Coach to Make Money in 30 Days or Less. -Publish to Make Money in 30 Days or Less. -Host Meetups or Workshops to Make Money in 30 Days or Less. -Teach to Make Money in 30 Days or Less. -Host Webinars to Make Money in 30 Days or Less. -Use Linkedin to Make Money in 30 Days of Less. -Promote Your Big Idea to Make Money in 30 Days or Less. -Market Your Freelance Gig to Corporations in 30 Days or Less. 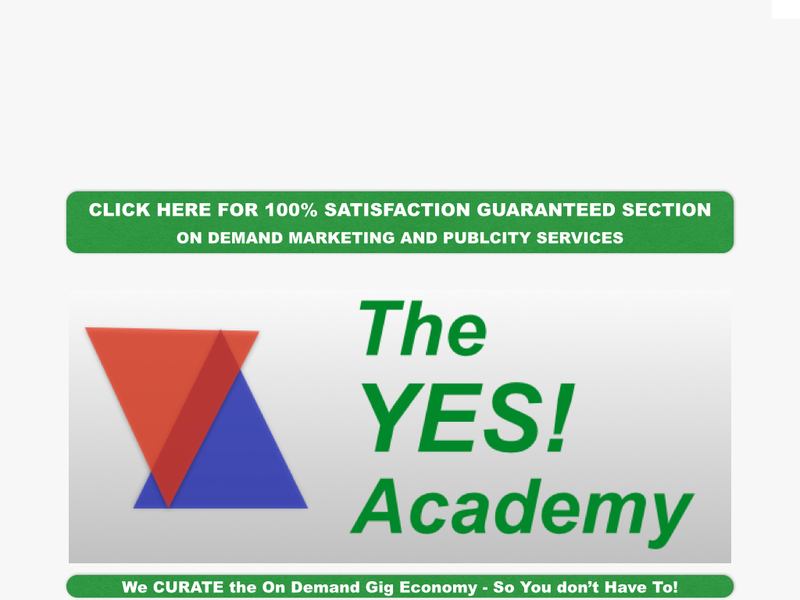 -We Teach You How to Market Your Freelance Gig or Your Anything From Your Purpose, Your Mission Your Passion, Your Big Idea to Your Skills or Talent to Make Money in the New Freelancer Gig Economy. YOU CAN DO IT HERE in 30 Days or Less. -Earn While You LEARN THE FUTURE OF WORK in 30 Days of Less. Our Mission: We help small businesses boost your income to your next level with dream team mentoring, while helping people lift themselves out of unemployment through digital freelance work to make money in 30 days or less - so everybody wins by working together in the new economy! -Make More Money in 30 Days or Less in the New Economy. We''ll help you create your gig economy mindset and we'll help you create your gig economy tools for gig launchers to make more money! doing business in the rising freelancer on demand gig economy! A GREAT time was had by all recently in Sunnyvale at our Meetup THANKS to Sunil Bhaskaran, because of the AMAZING people who attended. Is the Gig Economy Helpful for Me? What IS the controversial, and rising, the freelancer gig economy and WHY do earnings from it range so broadly; as little as $5 for digital freelance giggers on Fiverr.com, up to small business owners, consultants, coaches, speakers, authors and experts who are earning a hundred thousand dollars, or even hundreds of thousands of dollars, annually from it -- using sites such as Linkedin and Meetup.com? The difference may be your marketing! We have the answers you want! "Earn While You Learn Scholarship Program"! We have all the solutions you need! BIGGEST ECONOMIC SHIFT for small business in a CENTURY? Is Working with Linkedin, Meetup, Fiverr, UpWork for You? Networking: We have 68,043+ Business Owners & Professionals in our Meetup Organization. 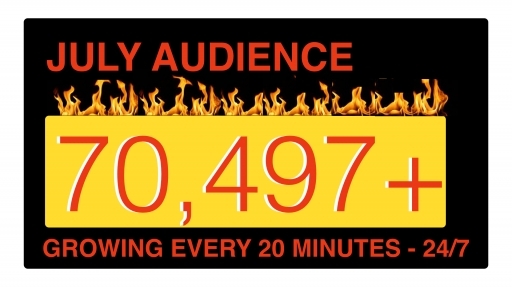 How Can You Start Building an Audience in 2 weeks or less? How Can You Make Money Using Linkedin, Meetup, Fiverr, and more in Your Current Business? Are you a business owner / expert / author looking to target an audience? Learn to target your customers based on interests from Linkedin, Meetup, EventBrite and more, to invites them to your landing pages, events (e.g. educational sales presentations). Need to automatically organize & manage a pipeline of prospects? ★We Help Business Owners and Professionals SAVE Up to 90% OFF AGENCY PRICING for Marketing on Linkedin, Meetup, Webinars, Facebook, Highly Targeted Leads, PLUS TV and Radio Advertising, and Publicity too, to succeed in the gig economy! ★ GAIN "As Featured On" NBC, CBS, ABC, Fox Status in about one week: GUARANTEED! ★ How Can You Start Building A Business or an Audience in 2 weeks or less? ★ How Can You Make Money Using The New Freelance Gig Economy Marketplaces in Your Current Business? ★ How to you keep up with your competition if they are getting more marketing for less money than you are? Find out. ★ This is Your Opportunity to Join an Dream Team Media Mentoring and Media Marketing Mastermind and Training Program - FREE! IN THE RISING "GIG ECONOMY". Your Current Business Using New Resources with Deep Discounts. Get the Free INVALUABLE Training Now! Mike loves working with the same everyday people he interviewed as a Peabody Award Winning Director for NBC TV & Radio in New York. 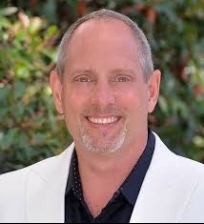 Mike loves helping entrepreneurs with THE 1 ELEMEMENT that's most important to him: MINDSET!" When Mike calls us his Dream Team, it's because he wants to help entrepreneurs achieve their dreams of doing the work they love in today's freelance gig economy! 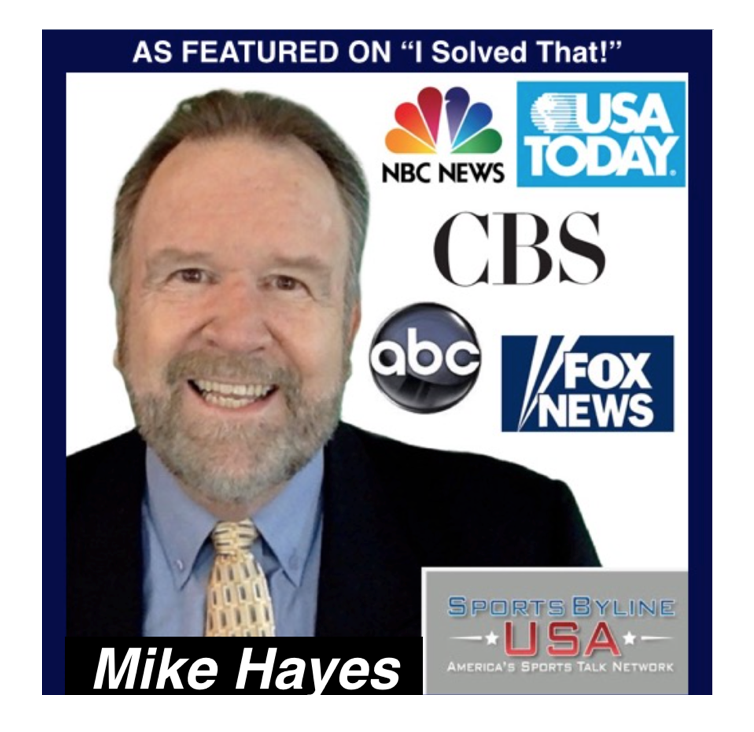 I am delighted to be asked to recommend my pal, Mike Hayes. Along, with Mike I'd like you to know how easy it is be beome a Life, or Business Coach, especially when work with Mike to get new clients. I've been coach for over three decades, and I've been teaching others to coach as well. My team and I have trained over six thousand coaches worldwide. I've seen folks from all walks of life, and all ages, and all backgrounds become very successful as life and business coaches because they had a genuine desire to help others. 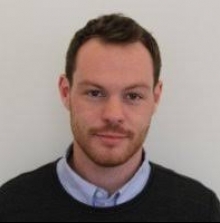 Meetups are very powerful and Mike's folks working with Mike and his information to put it to practical use and working with Mike it the perfect career move. 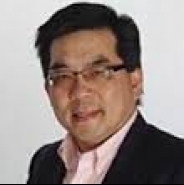 With Mike, it's so easy to get the word out about your different concepts and ideas. People ask me if this is a good time to start a business, and I tell them I think the gig economy is the best time we've EVER had because of technology and how we can leverage the new opportunities and get the word out. I want to thank Mike and it's been a pleasure having our time together. "I've worked with many so-called professionals in Hollywood, and I've learned that a LOT of them don't really know what they are doing, but my friend Mike Hayes, does know what he's doing when it comes to media and marketing. I consider him a friend, and I'd recommend Mike Hayes, to just about anybody with anything they want to promote." My Wife, Joy, first began working wiht Mike Hayes, when we were just starting out and had little business of marketing expereince, so we wanted to work with someone like Mike who has many years of experience working with startups like ours. Over the years, we have watched our businesses grow. Now every time we need something, Mike Hayes is our immediate choice for our "Marketing Mentor On Demand." Serial Entrepreneur and Author, High Flying and Airline Employees Guide to Health Living. 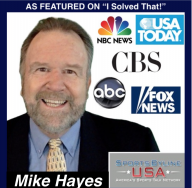 Michael Hayes has spent over 25 years covering the media and marketing trade shows, and has great insider information that is not available to outsiders who haven't worked inside of the media. So when I want to jumpstart my business, eZ-XPO, I turned to Mike Hayes for his steady hand and understanding about launching startups, and I'm very glad I did. 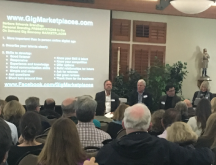 My wife is a college Professor and teaches college business courses, and recentlty ask me to speak about the big economic shift to the gig economy and asked me to speak about my experience as V.P. of Marketing for a $2 Billion dollar packaged goods company because I routinely hired talent into high paying positions. I wanted to include someone like Mike Hayes and his experiences working with Entreprenerus and consultants in the gig economy. I am blown away and the level of professioanl media marketing experience that Mike Hayes has, and since then we are being asked to speak at numerous venues (most recently John F. Kennedy University. "Mike, where do you get the energy? You blow me away and have the energy of a 20 year old. I routinely hired professionals from the gig economy, and Mike Hayes is a leading Thought Leader about launching your small business in the gig economy. We have millions and missions of users worldwide, Mike Hayes is the Person Fiverr.com, chose to lead our Gig Economy Community in the San Francisco Bay Ear because he is knowledgeable, expereinced and passionate about helping anyone and everyone who wants insider information about Fiverr.com and the gig economy. The Meetups he arranges and promotes are AMAZING and motivating experience. Mike Hayes is a Rock Star of Publicity Media Marketing for Authors. Mike Hayes is a big proponent of creating awareness about the rising gig economy and how it will affect your business. He is doing a great job of guiding us all into this new economy. And for a LOT of people out there are operating with the same mental models of how we think the World works. But what happens in the background, is that reality shifts and changes and new models apply. Mike is really shining the light on some of the transitions that have happened. 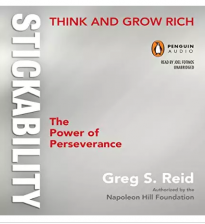 Mike teaches how to get unstuck and benefit further by understanding the new game. 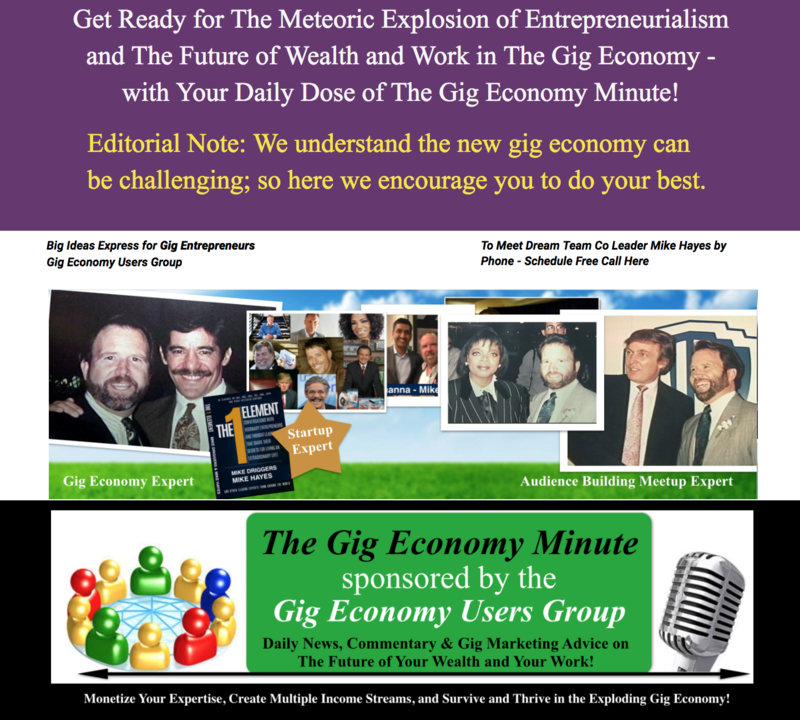 Mike Hayes Created My Personal Branding Signature Story for the Gig Economy. Want to Learn More About Some of Our Dream Team Mentoring Partners for Our Linkedin Leads Marketing, Meetups and Webinars, Our Online Learning Expert, Our Broadcast AM/FM Radio Shows, Our Top Speaker Promoters, or Our Anthology Print Books Publishing Partners, or other? Why Join Us and Transition Your Mindset to the On Demand Gig Economy STRATEGY Teleclass: Every Wednesday and Saturday at 9 am PST (12 Noon EST) FREE? Click here. 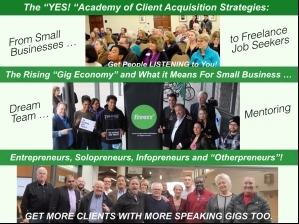 Here's SOME The On Demand Gig Economy STRATEGY Resources You'll Discover about The Gig Economy from The Small Business Owner! Dream Team Mentoring TeleClasses - FREE - EACH Wednesday, and Saturday 9 am PST (Noon EST)! learn about the gig economy! What's the well worn political line: "It's the economy, stupid!"? This information is The #1 Element for every small business owner who needs to stay CURRENT to make money. You can't make money in the past, when there are so many new resources today! A TRANSFORMATION FOR YOURSELF & YOUR BUSINESS CONFIDENCE - Learn the gig economy or it will be very difficult to succeed - especially if your competition is only paying a fraction of what you've been paying for media marketing. SAVE up to 90% OFF Marketing Agency Pricing - even on "Do It For You" Marketing Programs for entrepreneurs who are too busy to do it themselves. LOCAL LEADS - Learn About Local Linkedin or Alignable Leads Marketing from Our Dream Team Mentors Group. 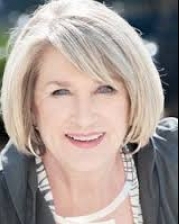 Learn what Legends like Like Sharon Lechter; Co-Author Rich Dad Poor Dad book series and Think and Grow Rich for Women, has to say about filling up meeting rooms with leads from our partners. On Dream Team are Partners with 60,000 + Meetup Members - Want to Meet them LIVE in-person or by Webinar? WEBINARS ON MEETUP - You run your event from your home. Audience attends from their home. - Meetup has recently allowed the use of webinars on meetup with some conditions. 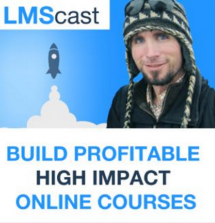 Learn how to do a successful launch on meetup with webinars. If you are new to webinars, we will teach you how to set this up. BECOME A CERTIFIED LIFE, BUSINESS COACH, OR GIG ECONOMY COACH - IN 20 HOURS AND LAUNCH YOUR NEW CAREER IN ABOUT A WEEK! You can also choose to use our Multi-Purpose Gig Launcher to Launch Your OWN Gig or Join Our Gig Economy Dream Team to Help Other Launch Freelancer Careers. We build our Gig Launcher for the gig economy as a "solopreneur in a box strategy". 1. You'll know new CURRENT Runway Launch Resource Pricing which is Newly Available in the freelancer gig economy. 2. You'll now Your Idea's Signature Story and a Strategy for Utilizing Deep Discounts for Launch Runways..
3. Describe Your Ideal Customer. 4. You'll now How to Share Across Multiple Platforms to Reach Them and Convert to Customers with Your Signature Story. Your big idea from vision to reality in four steps. ★ This is Your Opportunity to Join Our Dream Team Media Mentoring and Media Marketing Mastermind and Training Program - FREE! Every Wednesday and Saturday Morning at 9 am PST (12 Noon EST). 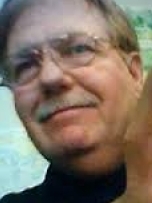 National Radio Show Host, Mike Hayes. If you're a solo entrepreneru or have a multi million dollar company, this free tutorial will help you reach your goals for the years to come, through secret techniques passed through my media mentors, Oprah Winfrey, Tony Robbins, Joy Mangano and many, more. if you want to SAVE Money on Media Marketing - THAT'S OUR BUSINESS. Click Above Right Now. We are the "Go to Expert Panel Speakers" of Your Chamber of Commerce, Your City, Your County, Your Jobs Ministries, and Your Government Small Business Development Centers: Contact Us for a Short Chat. Contact Us for a Short Chat. REMEMBER JUST ONE THING: Side Gig School is FREE! (12 Noon EST): Side Gig School is FREE! That's it! If you are serious about growing your audience with Linkedin or Meetup, click here to set up a free chat with me.